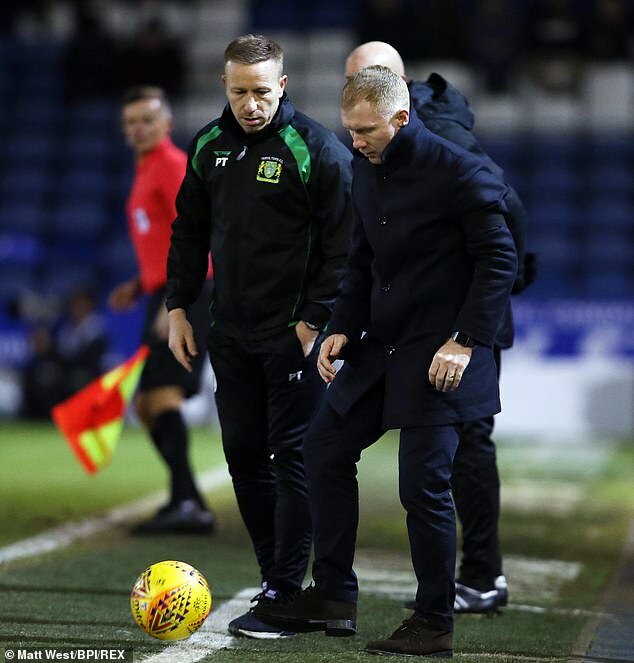 Paul Scholes hailed his entertainers after he began his managerial career with an emphatic 4-1 victory over Yeovil. 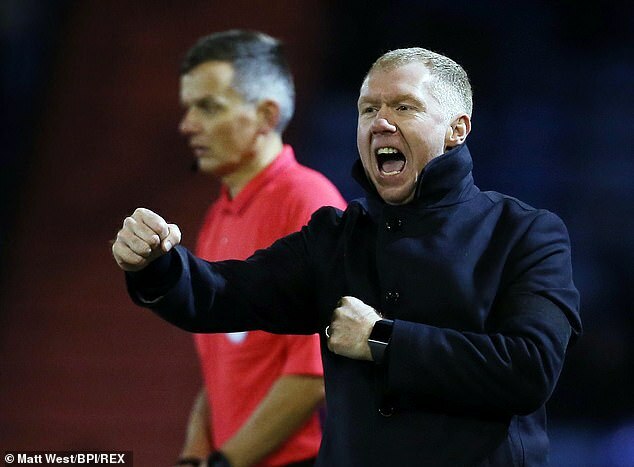 Goals from Jose Baxter, Callum Lang, Mohamed Maouche and Chris Missilou, with Bevis Mugabi’s netting the solitary response for the visitors, gave the 44-year-old Manchester United legend a perfect start at Boundary Park. ‘That’s what I want,’ a delighted Scholes said after picking up three points on debut. Scholes was given a rousing reception at his boyhood club. 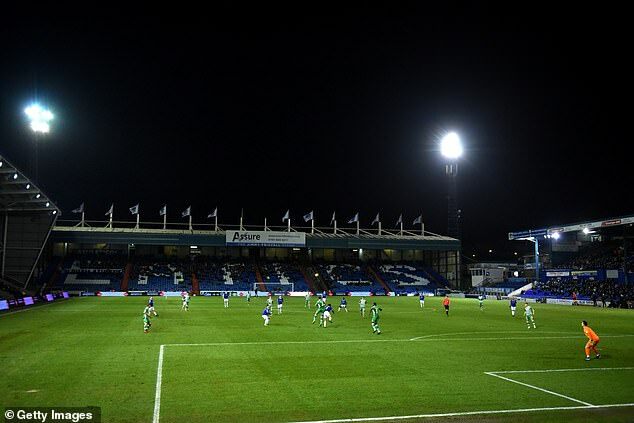 Scholes, who lives Oldham, had revealed that he had struggled to sleep since taking over at Boundary Park. But he was expecting a sound night’s slumber after seeing his team thrash Yeovil. ‘It’s a relief and I may get some sleep tonight!’ he said. The victory lifts Oldham to 11th, six points from the play-offs in League Two, with two home matches to come. ‘There’s a chance of the play-offs but I’m not looking far ahead,’ he said. ‘We’ll look at Crewe first on Saturday. 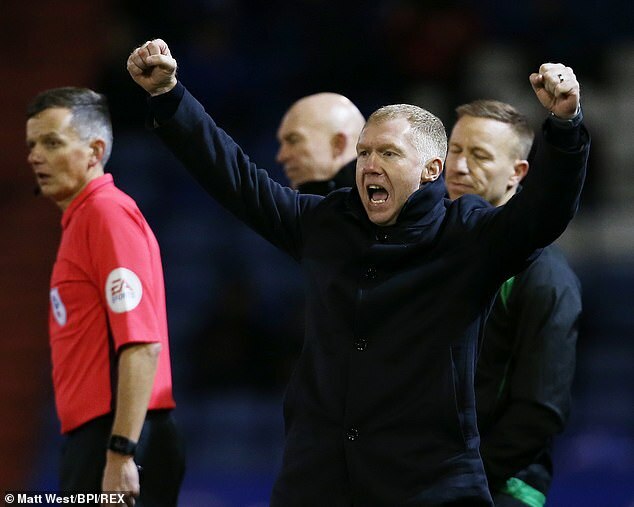 Scholes has inherited an inflated squad at Boundary Park and admitted he has not had enough time to make his mark.